If you are looking for someone to create an effective tax strategy or succession plan for your agriculture operation or small business. You might want to connect with Colette Miller, a partner with Wilde and Company Charter Professional Accounting and Director on the Board of ATBFinancial. My conversation with Colette began in her office and continued enroute to meeting with AVAC Ltd., a not for profit company she has been a Director with since 2010. Our conversation was neither strategy or succession planning but rather how Colette’s relationship with horses has contributed to who she is today. Colette appears to lead a full and busy life. 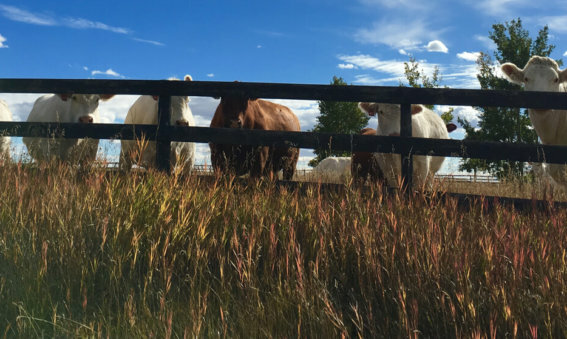 Along with raising four kids, her partnership with Wilde & Company and the board positions she holds, Colette and Craig run a mixed grain and cattle operation outside of Vegreville, Alberta. Horses have always been a part of his life. From the age of 12 Buck Brannaman has been starting horses, before that he was an accomplished trick roper. The past 35 years Buck has lived most of the year on the road crossing the United States, visiting Canada, Europe, Australia, New Zealand and even Japan sharing his experience and helping people better understand how to get along with their horses. In 2011 the film Buck documenting Bucks life and work, launched to critical acclaim at the Sundance Film Festival. Buck is a leader in the horsemanship field and I have watched his progression as a teacher through the past dozen or so years. I have always said to be good with horses you have to be great with people, Buck is both. 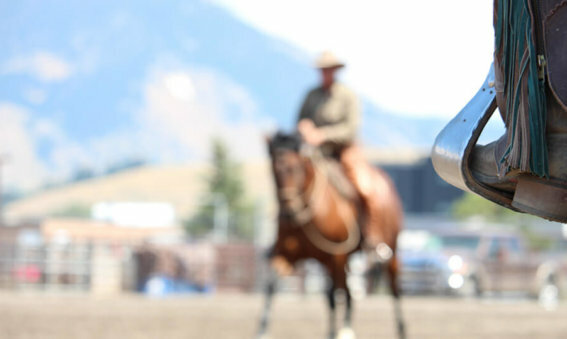 My annual trek, with and without horses, down to listen, learn and ride with him in Montana has become part of my own professional development. After a long day in the sun, with temperatures well into the mid 30sC, as is typical of his good nature Buck agreed to answer a few questions. For me, it is easy to get back in the saddle, it is however, more challenging to get back at the keyboard! The first half of the year for The Natural Leader has been brilliantly busy and the arrival of spring all consumed with projects that waited for six months. Early spring is the bug free season so time to catch up on those long rides! The next conversation about leadership learning from a horse is with Luree Williamson, CEO Agriculture for Life. Luree’s life has long been influenced by horses. Her current role is dedicated to bringing a better understanding and appreciation of agriculture and it’s connection to all Albertan’s through the delivery of agriculture education and farm safety programs. If you want it done really well ask Ingrid. She is what you might say, one busy woman. 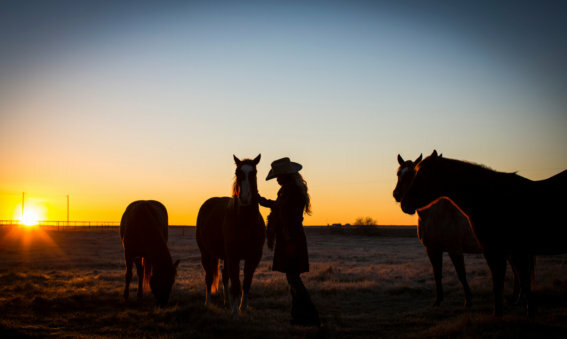 In the past two decades Ingrid raised three kids, bought an ailing horse publication and turned it around and has been involved with a variety of community activities. Nowadays she serves on the board of the Alberta and Canadian Cutting Horse Associations as well as Stampede Western Performance Committee. Then just when some people are thinking of slowing down, Ingrid and her partner Dean Ness embarked on a new adventure, opening Cody & Souix in Inglewood, Calgary. The store offers a blend of modern west clothing and a curated selection of artists and artisan work. 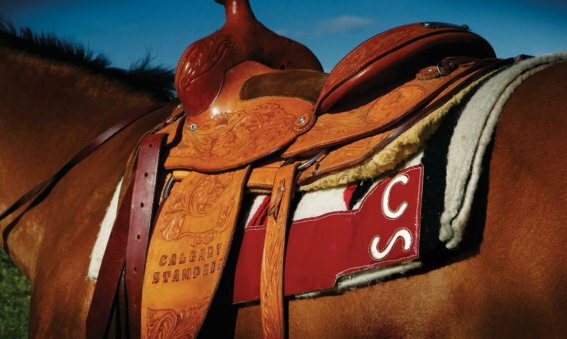 For Ingrid it is much more than a store, Cody & Souix represents a lifestyle that speaks to frontier ideals such as individualism, a life outdoors and protecting the remaining wide open spaces of the West. 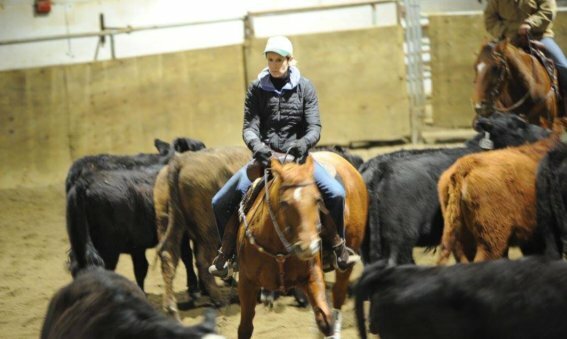 Ingrid also rides cutting horses. There is no other farming practice more disciplined than dairy, twice a day, 365 days a year the cows are milked, fed and cared for. It was this daily routine of the family farm that helped fuel Lowy Gunnewiek’s interest and completion of a degree in Mechanical Engineering at Ryerson and then University of Waterloo . Many years and successes later, Lowy’s current role is President and CEO of Sproule. 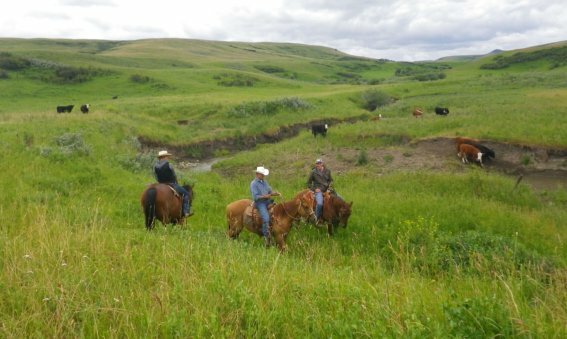 It is the weekend trips to his ranch in southern Alberta that offer a respite from a busy international travel schedule. Where once again the rhythm of animals influence the pace, this time less regimented. Riding the hills have become a place to clear his mind and bring focus, the horses Lowy finds, help him “see things from a whole different perspective”. My favorite activity of the Calgary Stampede is to visit to the Heavy Horse barn. In comparison to the Belgian, Clydesdale, Shires and Percherons, my big boy Seth a Percheron/Thoroughbred cross, looks pretty small. Even in the noise of the grounds you can hear a team approaching long before you see them. The jingling and jangling of the harness and the rhythmic clopping of their huge shod feet are an unworldly noise. The first time my horses heard/saw a team hitched up, they had no idea it was “just horses” approaching. It’s appropriate then, this months conversation is with David Farran about the team. David’s passion happens to be very large horses. 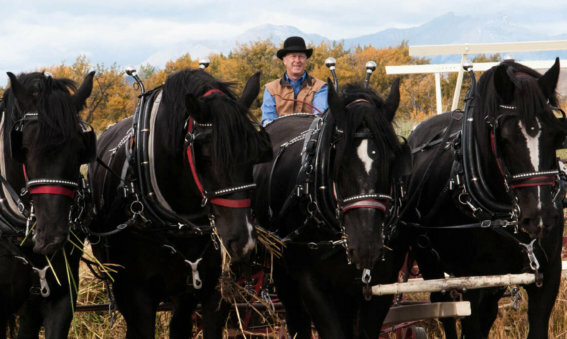 It was a love affair of farming with a team of horses that inspired his latest entrepreneurial venture, Eau Claire Distillery. “There is no free ride. From the moment you get on your horse to the minute you get off, you are working and doing something, you are never just sitting.